The post The Paleo Diet August Digest – Promoting Health with a Paleo Diet appeared first on The Paleo Diet™. The post Recipe: Bring on the Produce! appeared first on The Paleo Diet™. This delicious waffle recipe is pretty darn “allergy proof” unless you have issues with eggs. It is void of any gluten, grains, nuts and of course dairy. 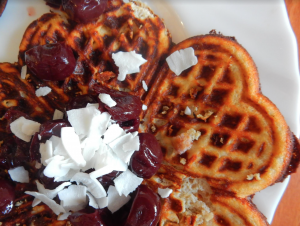 These paleo waffles with coconut still taste just like the real deal according to my guest Rossy of Primal Yum! Rossy says her use of bananas in this paleo recipe makes them extremely light and soft, while the coconut makes them fluffy and fragrant. Who wouldn’t love this combination? Man oh man, makes me hungry just reading that alone. When making a recipe like this it affirms that a healthy recipe can also be very tasty and satisfying! Thank you again Rossy as you are truly a kitchen genius. This recipe was generously contributed by Rossy Neame of PrimalYum. Rossy is loaded with ideas and occupies every spare second with exciting hobbies. Her website was created a few years ago when she discovered that she has gluten intolerance. Today, it is a place where one can get travel inspiration and can find easy recipes for a healthy lifestyle. She believes that happiness exists within us and being healthy is the first step to a constant smile on our faces. She also loves hiking and yoga (like me! ), and during the weekends she also takes time to paint in her studio and creates mini-sculptures using wood, moss and fungus. The rest of the time, Rossy works as a 3D artist in the biggest film studio in the Balkans, situated in the mountain near the capital city of Bulgaria. 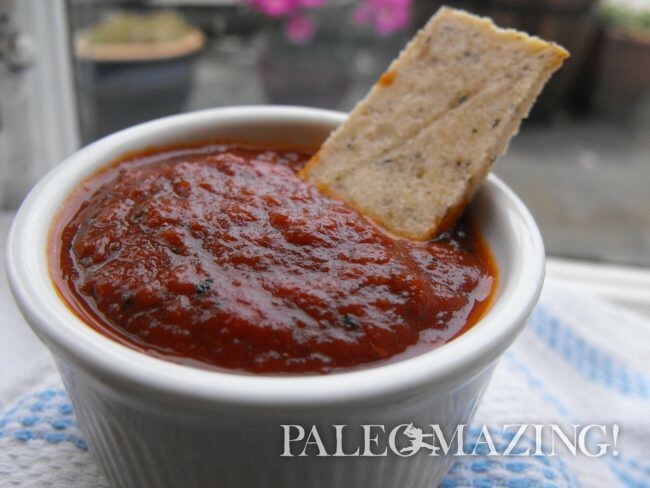 Be sure to check out several of her other delicious recipe contributions to PaleOmazing! This delicious waffle recipe is pretty darn “allergy proof” unless you have issues with eggs. It is void of any gluten, grains, nuts and of course dairy. 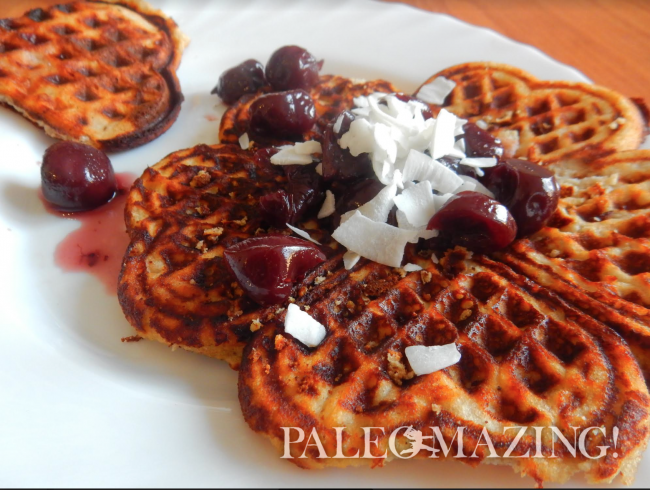 These paleo waffles with coconut still taste just like the real deal. Blend the bananas, eggs and coconut flour together. Let sit for 10 minutes and then blend again. Grease your waffle maker well. Pour some of the mixture into it and close the lid. In a few minutes slowly start opening the lid and peak inside. You can help your waffle by using a spatula. Once it has separated from the waffle maker, transfer it to a plate. Keep doing this with the rest of your mixture. They are lovely with some sour cherries and coconut. The post Two New Studies Show the Many Potential Anti-Inflammatory Benefits of the Paleo Diet appeared first on The Paleo Diet™. The post Bill Nye – The Science Guy? appeared first on The Paleo Diet™. The post Physiological Mechanisms: Underlying High Salt Diets and Cancer appeared first on The Paleo Diet™. The post National Bacon Lover’s Day August 20th appeared first on The Paleo Diet™. Kids love ketchup. Of course many of them do as ketchup is loaded with sugar or corn syrup. I dislike most they are selling in stores excluding the various paleo friendly on-line stores offering healthier versions of paleo ketchup. You cannot go wrong making fresh homemade ketchup in your very own kitchen from scratch. Of course, it’s even better if it is an easy recipe like the one below. Now that’s my go-word, “easy”! Now is the time for barbecue, sitting by the pool and all the outdoor fun that comes with summer time in the USA. We also find ourselves nibbling and dipping and again nibbling and dipping, and of course some people more than other are drinking. To offer or bring healthy options to the table makes for a much more comfortable belly, better blood sugar and let’s not forget to mention a much easier time the following day. There is just nothing quite as bad as waking to a toxic overload. I hate that and so I do not like my guests to feel that way either. 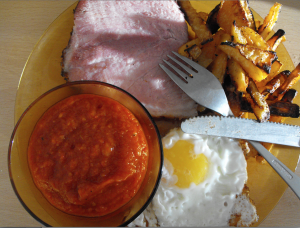 I have friends that love to eat ketchup with their eggs and ham, or as a side with their breakfast. MY grandson is a French-fry addict and there is nothing better than dipping away as far as he is concerned. There is NO way I want him to have Heinz ketchup, and lucky for us he is open to substitutions. He loves a little spice too, so this easy recipe comes in handy for all kids. One of the greatest things about this paleo friendly recipe is that it can be adjusted in case there is a preference for a sweeter or spicier version, or both! The world of spices is at our finger tips and that is the beauty in creating recipes for this exciting season. MY grandson is a French-fry addict and there is nothing better than dipping away as far as he is concerned. There is NO way I want him to have Heinz ketchup, and lucky for us he is open to substitutions. He loves a little spicy too, so this easy recipe comes in handy for all kids. Add them together with the oil to a pan and cook on medium heat until soft. Add all the other ingredients and let simmer for about 15 minutes or until you like the consistency. Blend until it is completely smooth. You can add more or less syrup and vinegar, depending on how you like your ketchup. The post The Ultimate Benefits of Going Paleo appeared first on The Paleo Diet™. The post The Paleo Diet July Digest – A Few Ways to Find Paleo Foods appeared first on The Paleo Diet™.